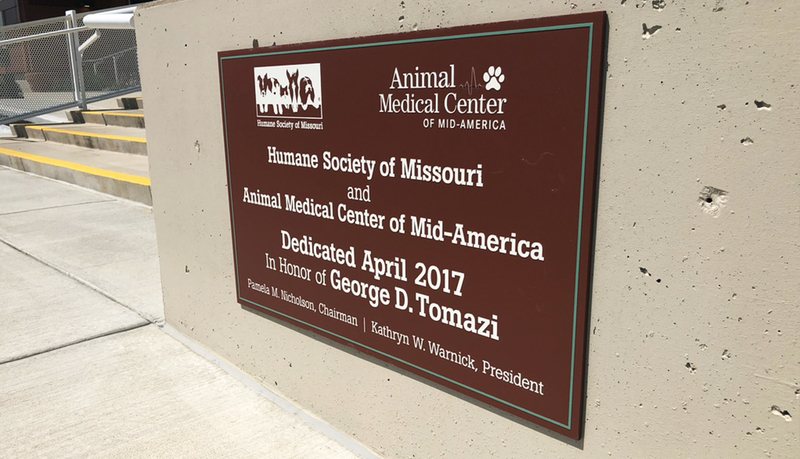 After 10 years in planning, the Humane Society of Missouri opened a new 2 story, 44,000 square foot, state of the art facility. 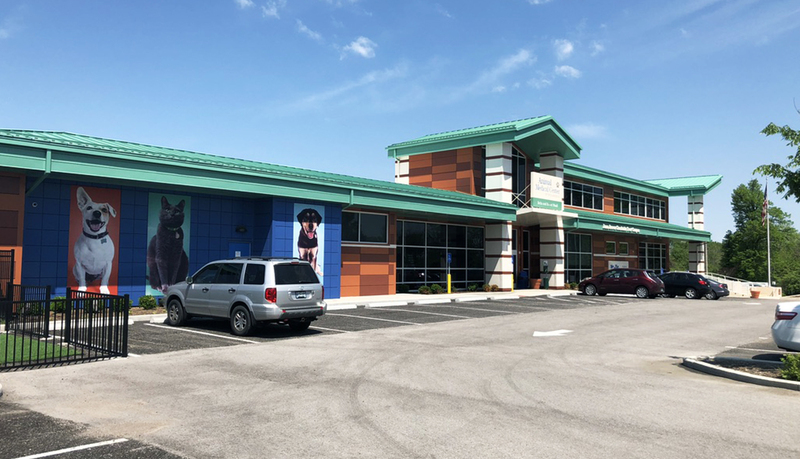 The facility is capable of housing over 400 animals in natural light, and includes an adoption center, medical center and dog park. 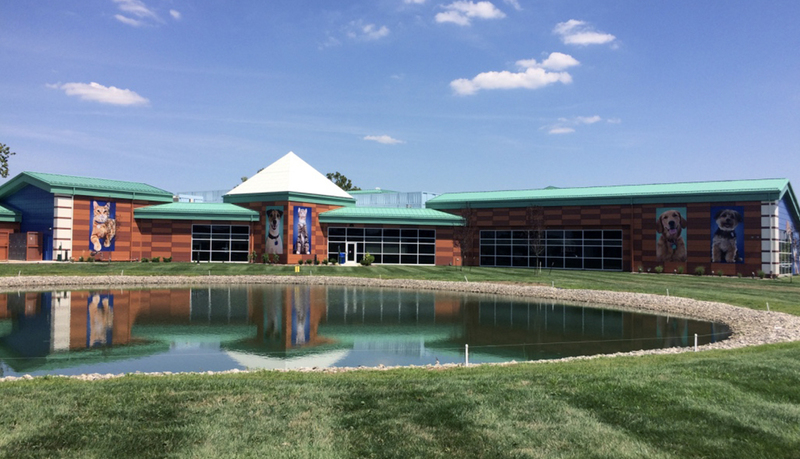 The $16 million facility was built through charitable contributions from individuals, foundations and corporations. 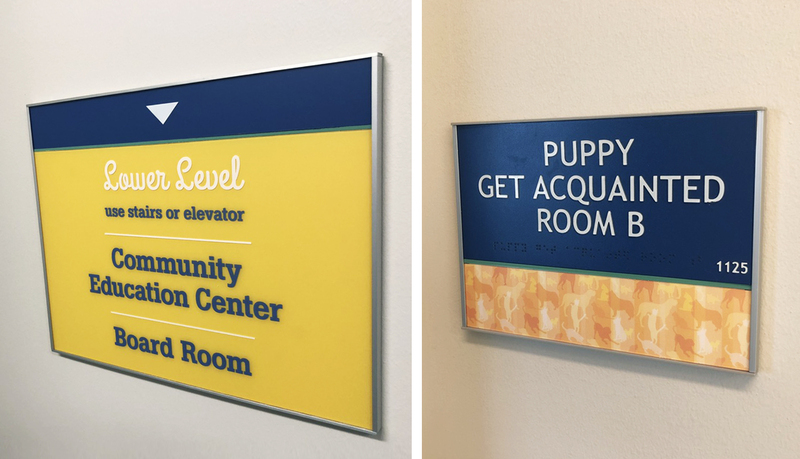 The client was looking to showcase its brand with creative and easily identifiable signage representative of the mission of the client. 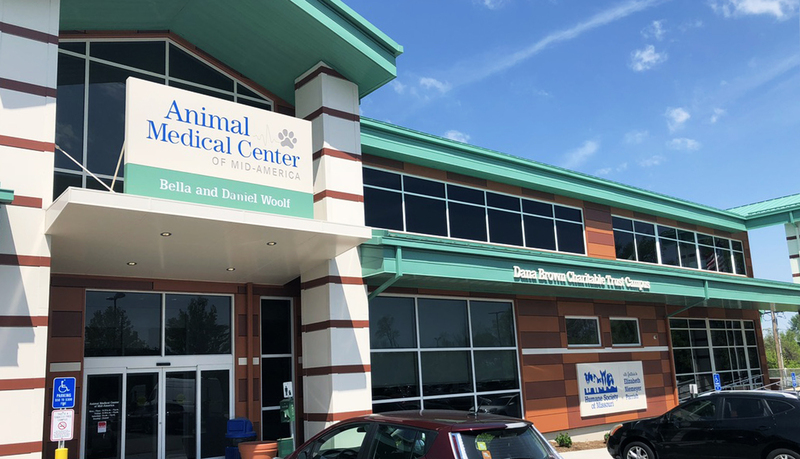 Lead time for signage fabrication and installation were relatively short but ASI accomplished the tasks on time contributing towards a successful ribbon cutting ceremony. 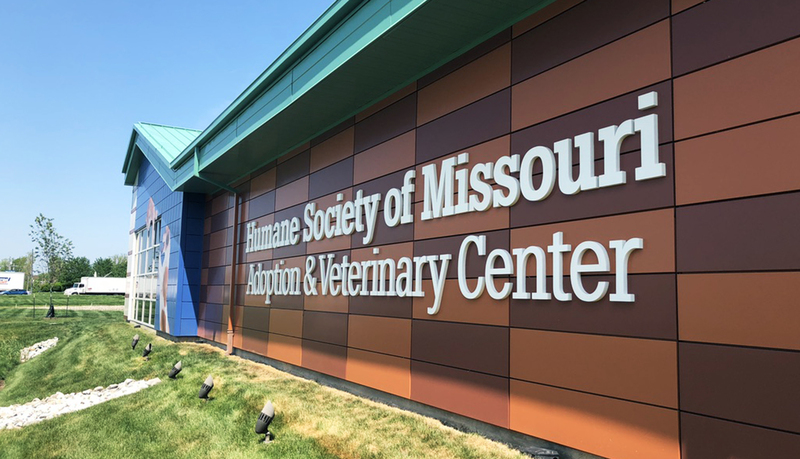 ASI worked directly with 501creative, Inc., and the Humane Society of Missouri, through the design process, material consultation, fabrication and installation of the facility’s interior and exterior signage. 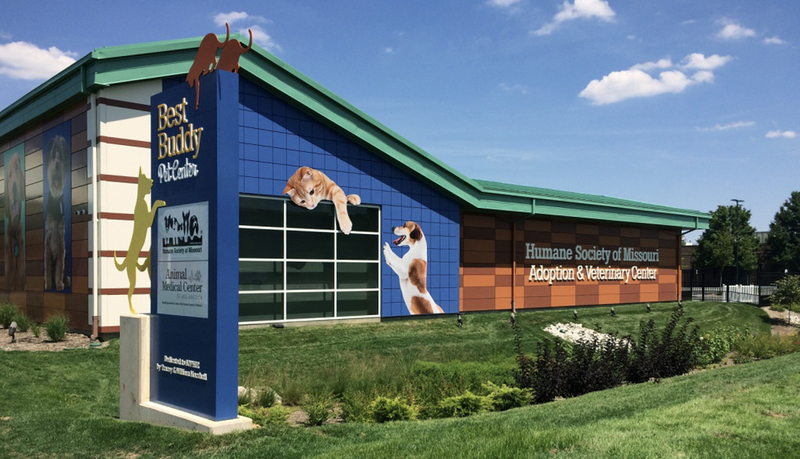 The Humane Society of Missouri’s Best Buddy branding was incorporated into the design of the exterior signage. 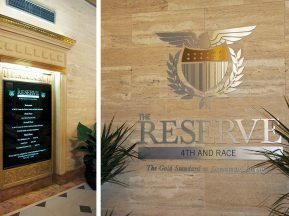 Three custom fabricated, illuminated monument signs, varying from 12’ in height to 6’ in height, were designed to identify the exterior of the location. 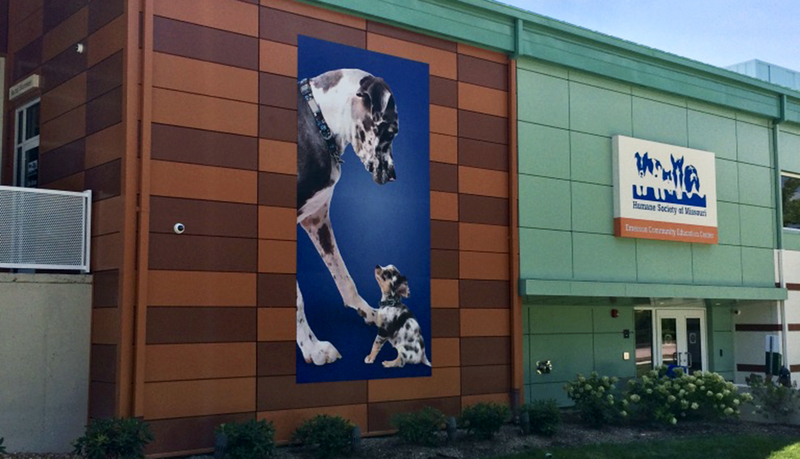 Additionally, custom fabricated illuminated wall signs and large format graphic panels with animal silhouettes were installed on the building façade. 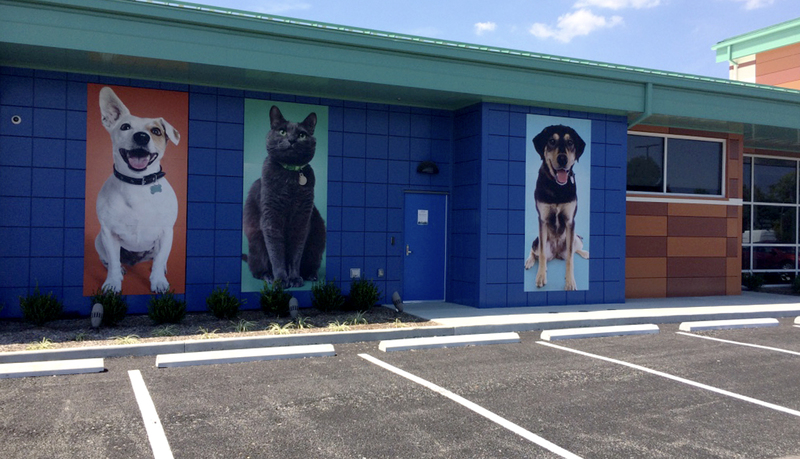 The client did not want the aluminum graphic panels attached to the steel siding with double face adhesive or mechanical fasteners as they anticipated having to change out photos in the future. 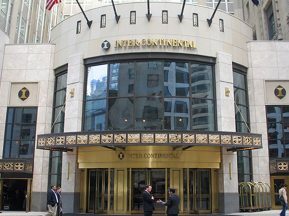 Consequently, high strength low profile magnetic discs were engineered specifically to secure the panels. 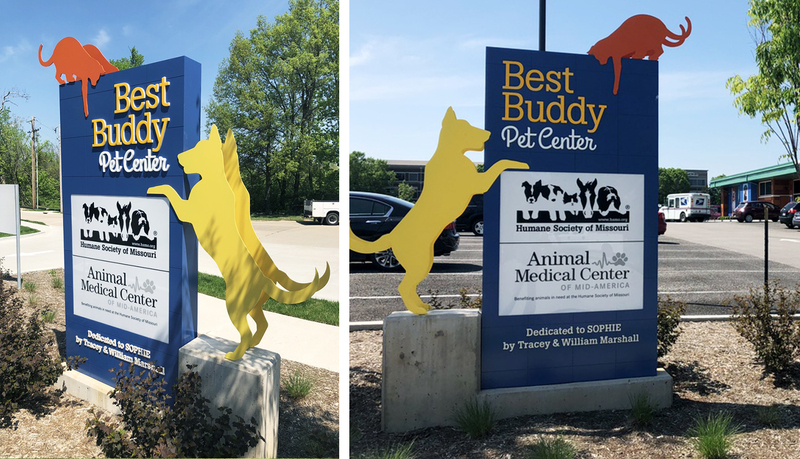 The coordination of the concrete base and the alignment of all 3 monument signs with dog silhouettes was challenging as the dog’s back feet had to set on the concrete pedestal with it’s top feet lining up exactly with the illuminated panel portion of the sign cabinet. 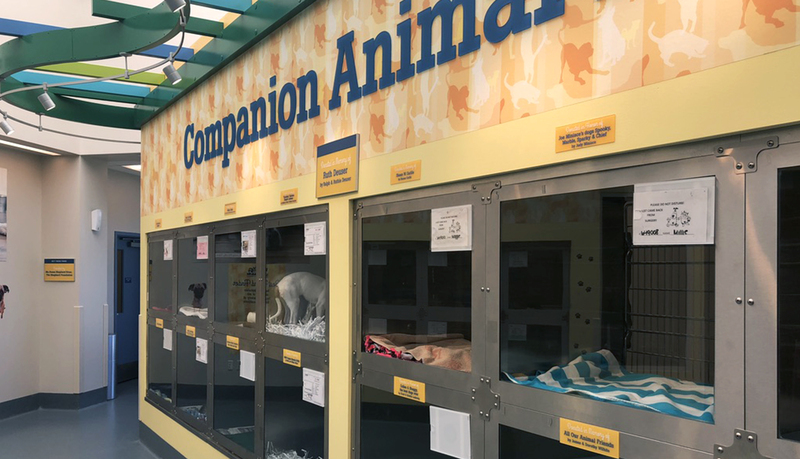 For the interior space, a modular sign system with animal graphics was designed to complement the animal theme. 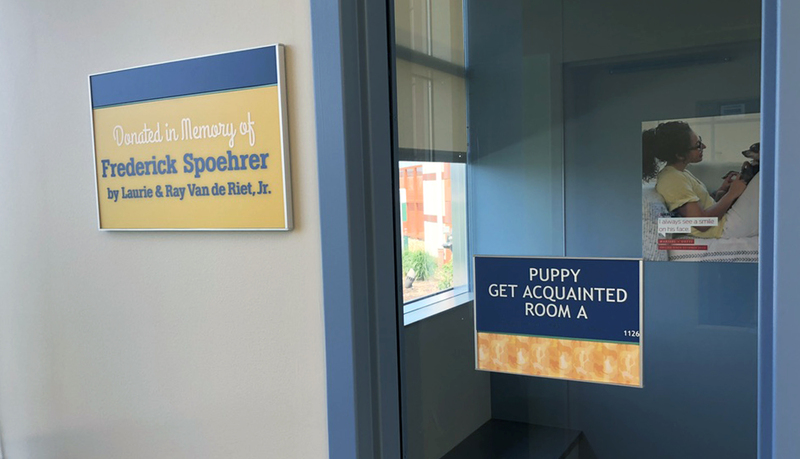 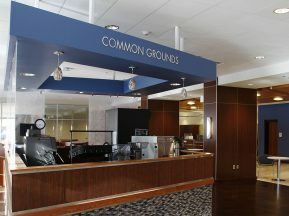 In addition, room identification and other interior signs were installed in the interior of the facility. 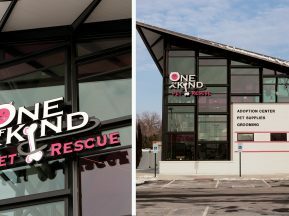 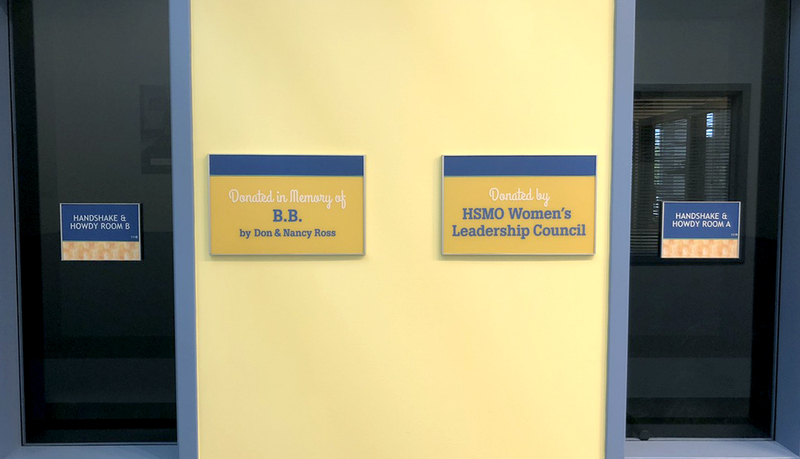 In terms of appropriately recognizing its donors, the client incorporated donor recognition into the interior and exterior signage.